ON THE GO OC - Things to do with your family. : Royal Machines Rock Out on the Queen Mary! Royal Machines Rock Out on the Queen Mary! Queen Mary’s Rock the Queen Featuring iHeartMedia’s ALT 98.7 FM’s The Woody Show Fiesta Returns Saturday, June 3! The Queen Mary is pleased to welcome back Rock The Queen, featuring some of the 90s top alternative rock in concert from 4 – 11 p.m. on Saturday, June 3. 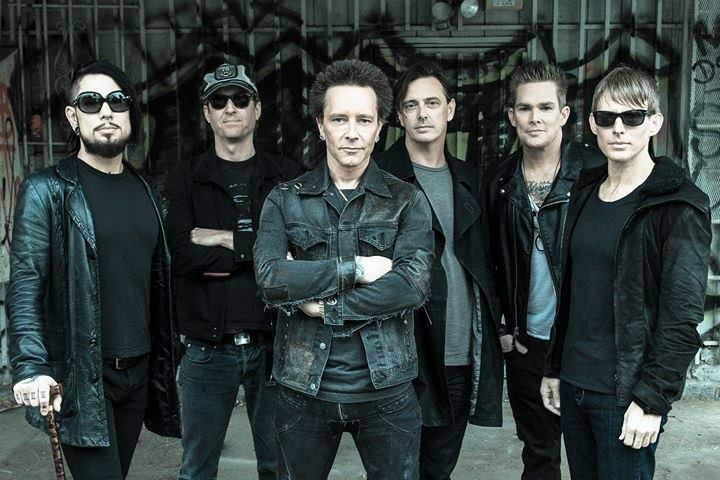 The head-banging music festival will bring top rock artists to Long Beach with performances from Sugar Ray, Smash Mouth, Spin Doctors, Eve 6 and the Royal Machines featuring Dave Navarro, Mark McGrath, Billy Morrison, Donovan Leitch, Chris Chaney and Josh Freese. As iHeartMedia’s ALT 98.7 FM’s The Woody Show hosts their Woody Show Fiesta at Rock the Queen, festival goers will experience a day of fun in the sun with incredible live music, food, multiple bars, retail vendors, merchandise, DJ’s, and more. Rock The Queen featuring ALT 98.7 FM’s The Woody Show Fiesta features an unprecedented music lineup. Headlining hard rock super group, Royal Machines, features Mark McGrath (Sugar Ray) on lead vocals and Dave Navarro (Jane’s Addiction) on lead guitar with Billy Morrison (The Cult), Donovan Leitch, Jr. (Camp Freddy), Chris Chaney (Jane’s Addiction), and Josh Freese (The Vandals, Devo) joining the band. Artists Sugar Ray, Smash Mouth, Spin Doctors and Eve 6 will also take the stage for an all-star musical lineup. Concert goers will have an opportunity to see ALT 98.7 FM’s famed radio DJs, Woody, Ravey, Greg and Menace as they host the entire concert with their 3rd annual The Woody Show Fiesta at Rock the Queen. Tickets go on-sale Friday, April 21 starting at $39 (standing only). General admission seating is $49. VIP tickets are also available at $69 for VIP seating and $99 for VIP PIT. VIP tickets include priority entrance, access to a private bar and two drink tickets. VIP and Cabanas are available. Rock The Queen is from 4 p.m. – 11 p.m. on Saturday, June 3. Doors open at 3:30 p.m.
For more information and to purchase tickets visit Queenmary.com . Happy Start of Summer all!